The GPU was invented by NVIDIA back in 1999 as a way to quickly render computer graphics by offloading the computational burden from the CPU. A great deal has happened since then—GPUs are now enablers for leading edge deep learning, scientific research, design, and “fast data” querying startups that have ambitions of changing the world. That’s because GPUs are very efficient at manipulating computer graphics, image processing, and other computationally intensive high performance computing (HPC) applications. Their highly parallel structure makes them more effective than general purpose CPUs for algorithms where the processing of large blocks of data is done in parallel. GPUs, capable of handling multiple calculations at the same time, also have a major performance advantage. 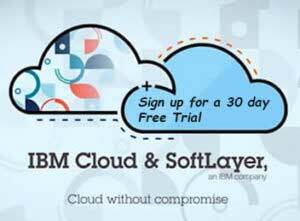 This is the reason SoftLayer (now part of IBM Cloud) has brought these capabilities to a broader audience. We support the NVIDIA Tesla Accelerated Computing Platform, which makes HPC capabilities more accessible to, and affordable for, everyone. Companies like Artomatix and MapD are using our NVIDIA GPU offerings to achieve unprecedented speed and performance, traditionally only achievable by building or renting an HPC lab. By provisioning SoftLayer bare metal servers with cutting-edge NVIDIA GPU accelerators, any business can harness the processing power needed for HPC. This enables businesses to manage the most complex, compute-intensive workloads—from deep learning and big data analytics to video effects—using affordable, on-demand computing infrastructure. Take a look at some of the groundbreaking results companies like MapD are experiencing using GPU-enabled technology running on IBM Cloud. They’re making big data exploration visually interactive and insightful by using NVIDIA Tesla K80 GPU accelerators running on SoftLayer bare metal servers.